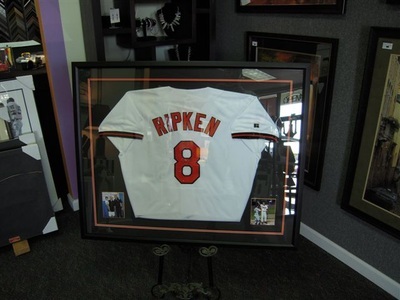 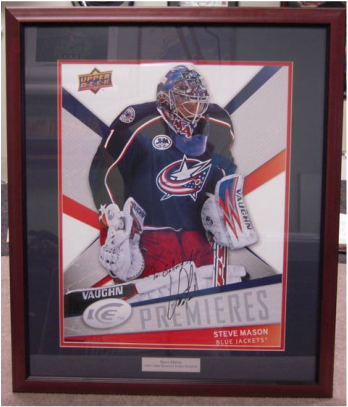 Gallery Art Center custom frames authentic sports memorabilia and other prized possessions better than anyone else. 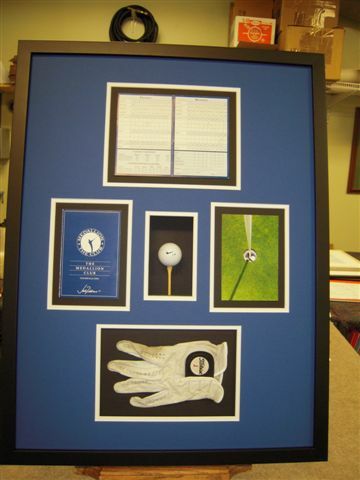 Our quality workmanship and attention to detail are second to none. 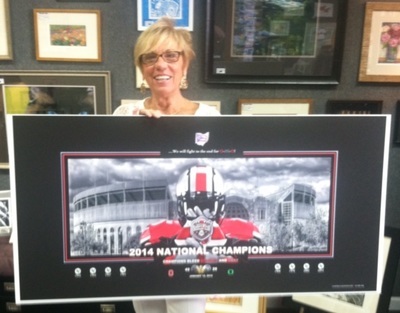 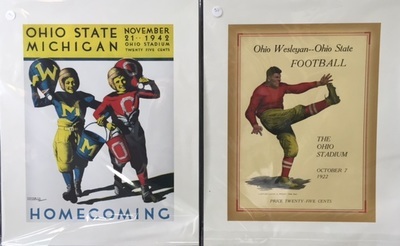 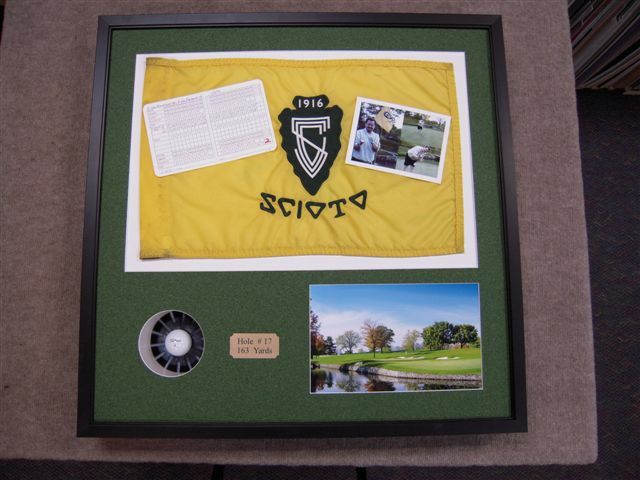 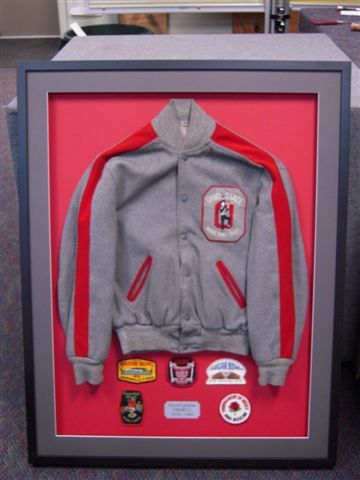 So, if you have Archie Griffin's football spikes or Nick Foligno's hockey jersey, let the Gallery Art Center turn your sports item into a cherished keepsake. 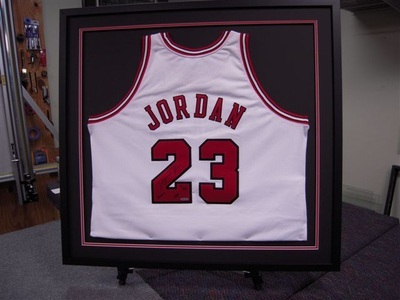 Who do you call when you need 1097 frames assembled in front of a live audience? 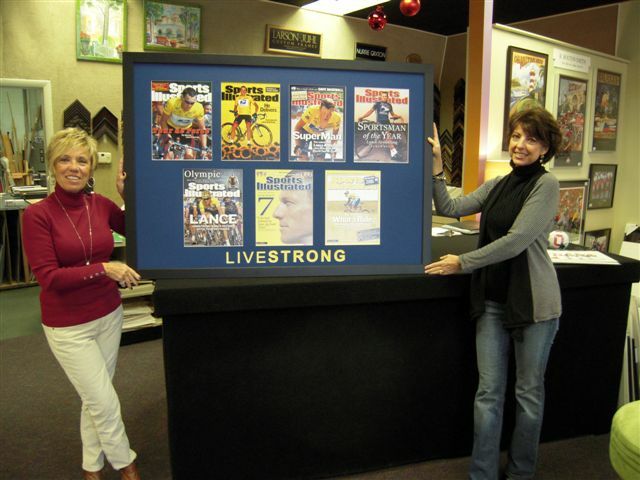 The Gallery Art Center! 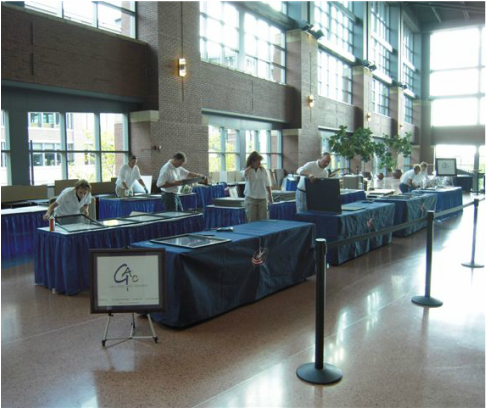 Assembling the frames was no problem with 8 of the Gallery Art Center team members plus a huge helping hand from our key supplier, Mark Lehman and his wife, Janet.